An end-to-end solution for complete installed sales management The new Epicor Eagle Installed Sales solution combines a comprehensive installed sales management software with the point of sale (POS), inventory, and accounting functions of Epicor Eagle software. By enabling you to efficiently manage and track the entire process—from lead tracking, estimating, and contracts all the way to final billing and profitability analysis—the solution can revolutionize your installed sales business. Epicor Eagle Installed Sales software can help you create new revenues from installation services. You’ll also save time, avoid errors, and work toward optimizing prices and profits. 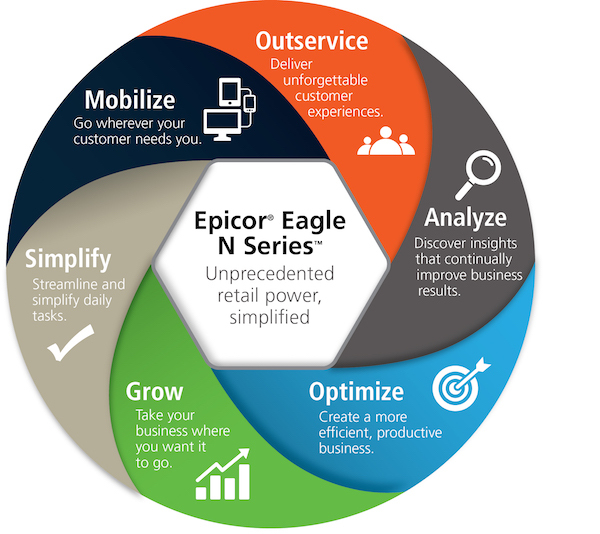 Contact us for more information on Epicor products and services +1.888.463.4700 eagle@epicor.com www.epicor.com “The integration between Epicor Eagle software and RenoWare has been very useful. With it, we are assured that our Eagle POS invoice matches our Installed Sales proposal—gaining more insight into profitability and job details. It streamlines the flow of data between these two valuable software tools. It also allows us to utilize the power of the Epicor Compass application to report on our Installed Sales business,” said Matthew Payzant, IT system manager, Payzant Building Products.